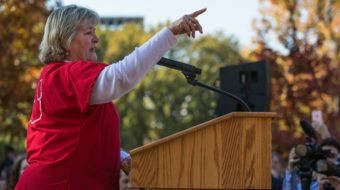 More than 150 nurses from around the country, members of National Nurses United, got a big boost for their drive from its prime congressional sponsors. 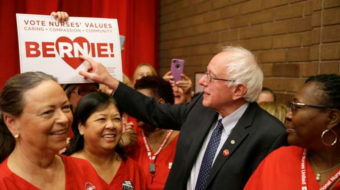 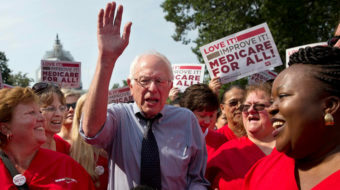 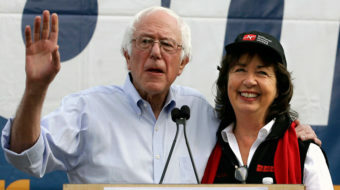 “Nurses are speaking powerfully to our elected officials of both parties to tell them what Americans need and that’s a fair, just and equitable healthcare system for all,” NNU Executive Director RoseAnn DeMoro explained. 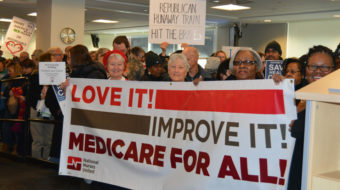 "We cannot risk the reckless disregard for the health of our patients and our nation proposed by these heartless ideas."